Dr. Julie Hruby speaks about the Palace of Nestor! 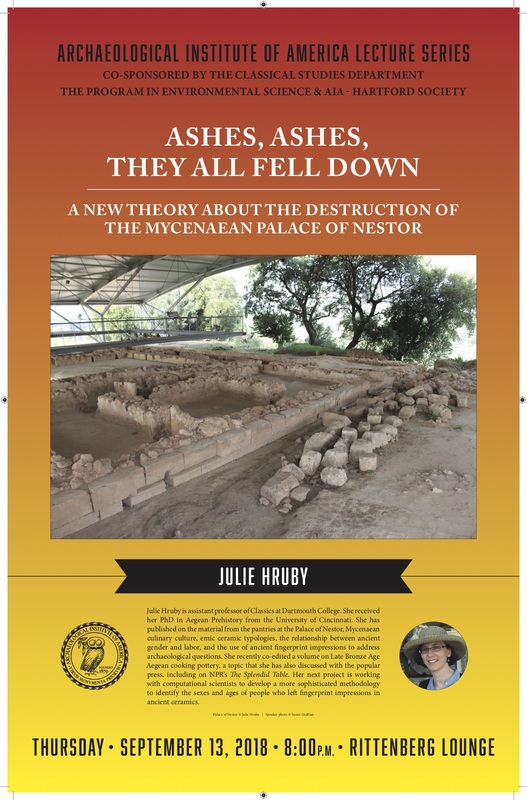 On Thursday September 13 2018, Dr. Julie Hruby of Dartmouth College’s Department of Classics came to Trinity’s campus to deliver the first AIA lecture of the 2018-2019 season. 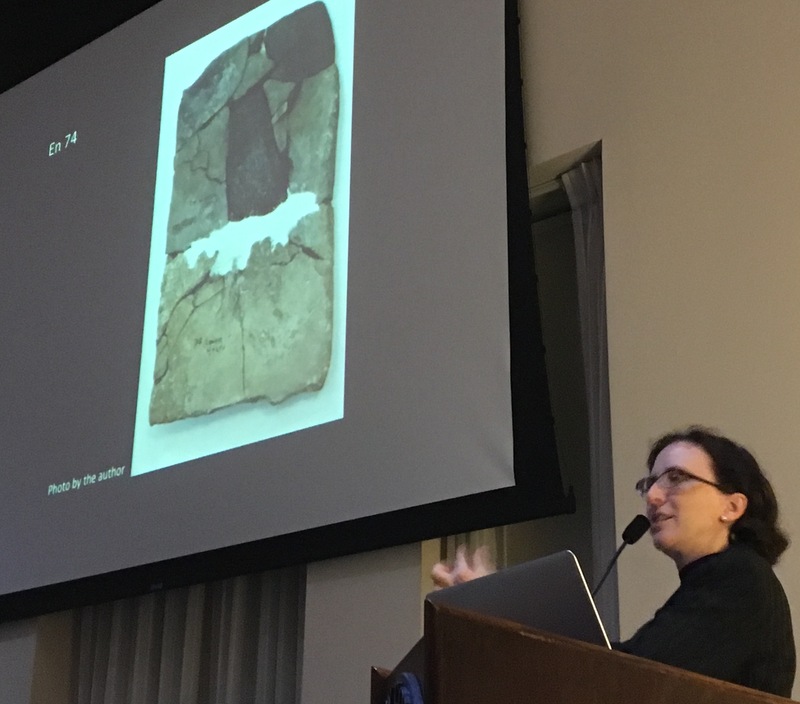 In her cleverly-titled talk, “Ashes, Ashes, They All Fell Down: A New Theory About the Destruction of the Mycenaean Palace of Nestor”, Dr. Hruby looked at older ideas about why Bronze-Age Greek palaces were destroyed at the end of the twelfth century BCE, concluding that destruction by invaders was not a sufficient explanation. Presenting historical seismic maps of the area, she asserted that earthquakes and subsequent fires were responsible for the Palace of Nestor’s demise. Dr. Hruby presented to a packed house of faculty, students, and AIA community members. It was a great interdisciplinary success, with Environmental Science, Chemistry, Classical Studies, and others present. Thank you, Dr. Hruby! This entry was posted in Uncategorized on September 14, 2018 by vtomasso.